Recently we can see most of the first round interview for experienced candidate will be written or programming test. 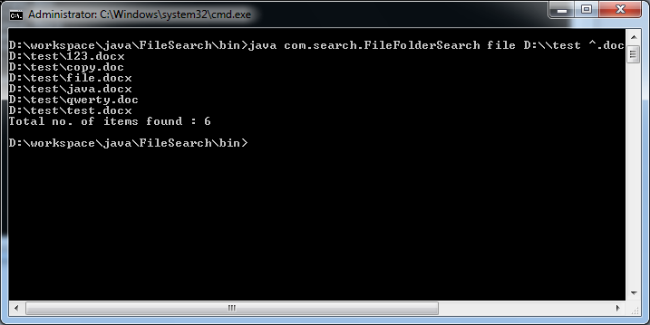 One of the simple and easy programming question asked in interview is to search files and Folder from the given drive using java code. Need to search File or Folder or both from the given root directory. Input parameters are File/Folder/Both and file to search and root directly. Program should be run from command prompt. Need to use Java regular expression to match file or folder names. By based on above conditions candidate need to write the code within an hour. In tutorial we will see a sample program for the above question. // check for no. of search items stored in list.